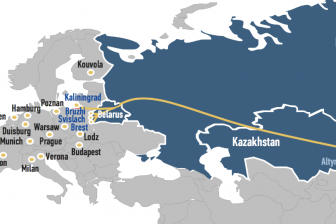 Eurasian rail freight has become more competitive due to significant cost reduction. Moreover, the cost of rail transportation is less volatile than the price of sea delivery, research firm Drewry concludes. Drewry is a leading independent provider of research and consulting services to the maritime and shipping industry. In its February issue, it included the Eurasian Rail Alliance Index (ERAI), a tool showing the indicative value of Eurasian railway transit. This tool was produced by Eurasian Rail Alliance (UTLC ERA) together with consulting company INFRAONE. “This marks the first time that the role of Eurasian rail transit has been recognized and highlighted on an international level”, UTLC ERA commented. Rail transport has achieved significant success in terms of cost reduction compared with maritime transport, the report states. 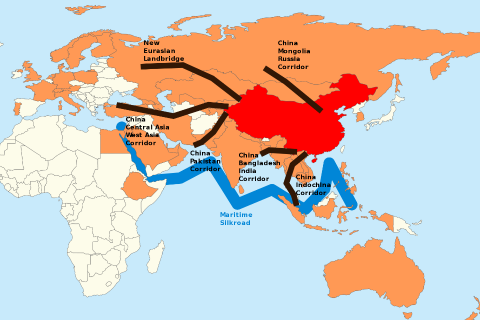 Although sea routes still account for about 98 per cent of the trade volumes between Europe and China, Drewry expects rail transport to further improve its competitiveness. 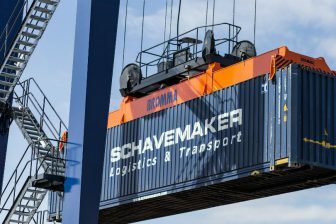 It is expected that cargo ships on the Asia — Europe trade will continue slow steaming, and freight charges will increase during 2019 and 2020, while the speed of rail traffic will increase. To summarise, Drewry experts forecast high rates of growth in rail traffic in the coming years, in part due to the low initial base. 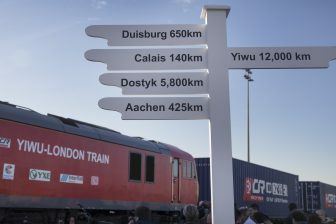 Last year, 370 thousand TEUs were transported by rail between China and Europe, an increase of 35 per cent compared to 2017. The imbalance of east-west freight traffic decreased during 2018: the number of westbound trains grew by 37 per cent compared to a 90 per cent increase in eastbound trains. About 75 per cent of the total traffic volume was routed via Kazakhstan, with the gross transit volume soaring by 59 per cent compared to 2017. This was due to the increase in the number of trains from 2167 in 2017 to 3384 in 2018, as well as the average number of carriages per train, UTLC explained. The ERAI Index was developed in October 2018 in order to help shippers in choosing the optimal way of cargo delivery. Now, with the help of a new tool, each client can get up-to-date and transparent information on the cost of shipping container cargo on Asia-Europe-Asia routes direction and calculate and compare delivery times, UTLC ERA commented.